The Federal Motor Carrier Safety Administration (FMCSA) ordered Los Angeles-based passenger carrier John Andrew Ciego, which does business as “Its Good Promotion,” to immediately cease operations after finding the company was endangering the traveling public by failing to ensure the safety of its vehicles and drivers. On Dec. 1, 2013, a bus with the markings of “Its Good Promotion” was stopped for an inspection while crossing into the U.S. at the Otay Mesa, Calif., Port of Entry. The vehicle was found to be the subject of an FMCSA out-of-service order issued Nov. 15, 2013. Furthermore, inspectors discovered 17 serious safety defects, 14 of which individually required the vehicle to be immediately placed out-of-service as an imminent hazard to the public. It was also revealed that the vehicle had attempted to cross the border earlier the same day in El Paso, Texas, but was refused entry by U.S. Customs and Border Protection agents because of the previously issued FMCSA out-of-service order. Employing innovative investigative techniques developed under the recent Operation Quick Strike crackdown, FMCSA investigators launched an intensified investigation of “Its Good Promotion” and found the company name and its USDOT number were being used by multiple motor carriers and commercial motor vehicle owners as a “shell cover name” to transport passengers between Mexico and the U.S. The four motor carriers that were attempting to appear as part of “Its Good Promotion” had been previously ordered by FMCSA to cease operations because of serious safety violations. Failure to monitor and ensure that drivers comply with controlled substances and alcohol use testing regulations. Allowing a driver who tested positive for illegal drugs to continue transporting passengers. Using drivers that did not possess valid U.S. commercial driver’s licenses or were not medically qualified to operate buses. Not requiring drivers to turn in hours-of-service records and other required documentation such as driving itineraries or fuel receipts. 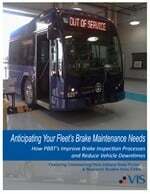 Failure to ensure vehicles were properly and regularly inspected, repaired and maintained. The company subsequently failed to provide FMCSA safety investigators access to its commercial motor vehicles as required by an earlier federal order. Because of this, in combination with all evidentiary findings of the investigation, the operation of “Its Good Promotion,” including all of its vehicles, was declared an imminent hazard and ordered immediately shut down by FMCSA.